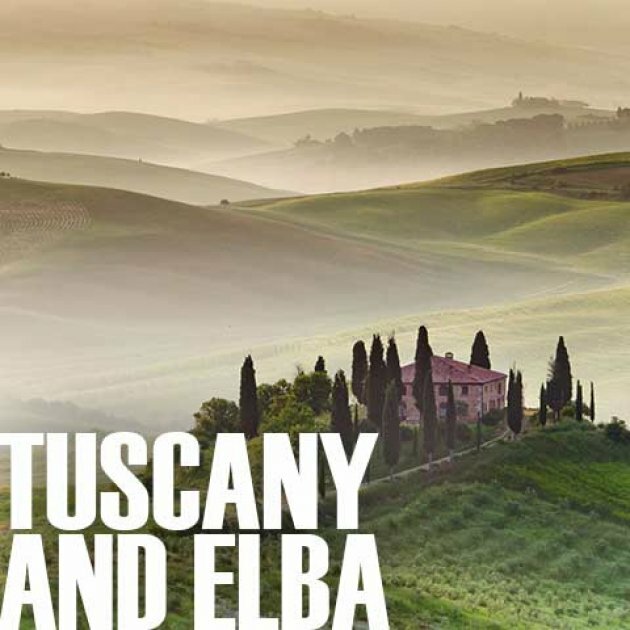 Our tour through Tuscany and on Elba in 7 days, up to 14 persons, one double overnight stay. The arrangement includes the above services. Our terms and conditions apply. On to Pisa, the proud city rich citizen, home of Galileo Galilei. From the leaning tower, the city’s most famous monument in Italy, to the Tuscan Renaissance. 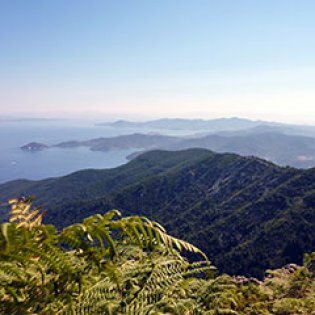 Enjoy cycling across scarce granite peaks and picturesque bays. To the Chianti, across the Brunello to Sassicaia and Ornellaia. Napoleon on Elba, the Etruscans in Volterra and Siena’s victorious Contrades. Cordial hospitality and best gastronomy in charming country hotels and sophisticated palaces A memorable pedelon eBike tour on Elba and across Tuscany. Arrival on Saturday to Pisa . Flight to/from Pisa booked by you or by pedelon at your request from Munich and Frankfurt, with transfer in Frankfurt or Munich from nearly any German city. Pisa can be reached in a single day from Germany. Traveling by night train is particularly comfortable. The taxi will take you from the train station “Pisa Centrale” to the starting hotel “Bologna” in five minutes. On motorways by car to Pisa, 710 km from Munich, 800 km from Stuttgart, 950 km from Frankfurt and a long 1400 km from Hamburg. Leaving your car at the “Hotel Bologna“ is 15 € / day. With your booking confirmation, you will receive the “pedelon travel information”, which contains useful notes on traveling to Pisa and other advice around your trip. Pisa’s old town and the river Arno. Arrival on Saturday to Pisa to the hotel “Bologna”. Located in the historic center, this house is an elegant Tuscan style palazzo, one of the city’s most prestigious hostels. Surrounded by cypress inner courtyard and the roof terrace, you are invited to linger at any time of the day to be able to “digest” the abundance of attractions. Meeting point in the hotel hall for the city tour at 5.30 pm. For dinner, there is a restaurant serving local specialties in the Old Town. The views from San Gimignano into the Tuscan hills are second to none. In the morning, the train will take you to Empoli in about half an hour, where you will switch to eBikes and ride into the South along Tuscany‘s hills. It‘s an ideal route to get used to your bikes. 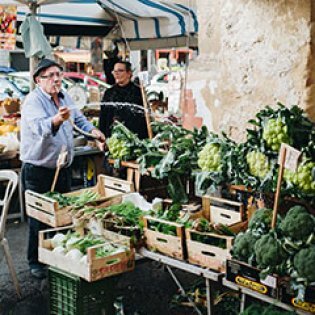 Lunch with regional specialties is waiting for you at a typical Italian farm. Strengthened and with your battery‘s support, the last kilometers up to San Gimignano will be easy. The particularly beautiful hotel „Leon Bianco“ is right at the central Piazza della Cisterna. 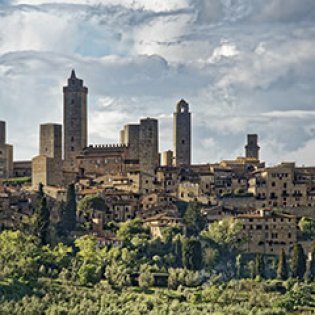 Before dinner in one of the best restaurants of San Gimignano, you will raise your appetite with a round trip through the history of this Medieval Manhattan. In the morning, you will cycle to Volterra along a wavy road. It is one of the twelve Etruscan foundings and a culture highlight of Tuscany. Emperor Augustus had the famous Teatro Romano built here in his honor. The picturesque Etruscan town is visited before lunch. From here, you will continue by eBike across the gentle hills of Tuscany‘s landscape to Montecatini Val di Cecina. The Maremma plain already starts in the Pisa province. The evening hours belong to the idyllic Tenuta Mocajo, a farm-turned-hotel with own vineyard. Outstanding dinner with many local products in the hotel restaurant. Today‘s section leads to the North of the Maremma, to the wine area of Bolgheri, where some of the best wines in the world are made, such as the Sassicaia and Ornellaia. 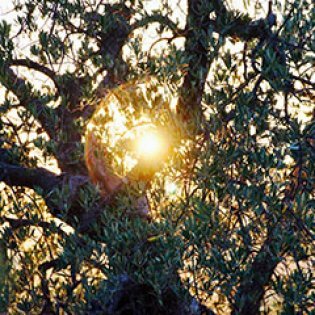 Through mostly flat terrain and picturesque cypress avenues, you will continue to Castagneto Carducci, where the Italian poet and laureate of the Nobel Prize for literature Giosuè Carducci spent his childhood in the town named after him. After the transfer of one hour by ferry from Piombino to Elba, a strengthening meal at a nice little restaurant is waiting in Portoferraio. From Napoleon‘s town, a short bicycle leg and a small hike will take you to the hotel „Biodola“. Run by Signora de Ferraris, the hotel is located in a picturesque bay. Dinner in the outstanding hotel restaurant. After breakfast on the wonderful hotel terrace, you will start the short but all the more beautiful round tip on the charming island of Tuscany‘s Archipelago. 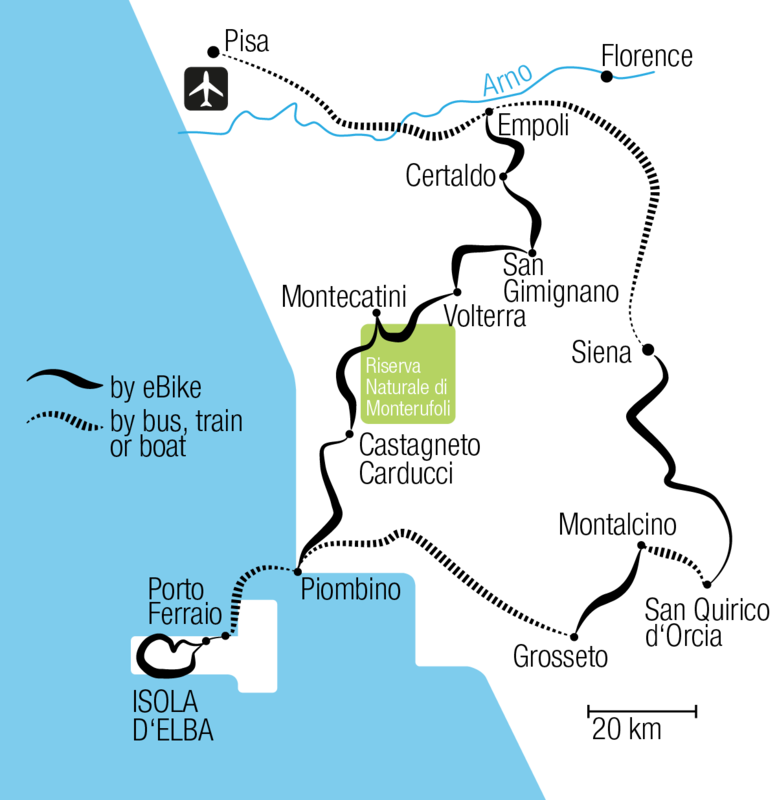 From the hotel, you will need barely an hour to the harbor town Marciana Marina, where you will park your bikes. 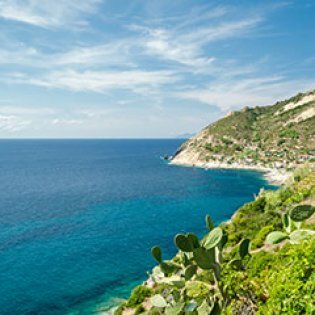 A rise that is more fun than effort on eBikes leads you up to the idyllic mountain village Marciana, where you will have a fantastic view of the mainland and the Mare Ligure. From here, the round path will lead you around the West of the island on a slightly hilly path, always with bays, beaches and steep coasts to your right. If the view is good, you will be able to see the sister islands Capraia, Pianosa and Montecristo on the horizon. Early in the afternoon, you will return to Signora de Ferraris‘ luxurious inn. There will be enough time before dinner to take a bath in the turquoise sea. In the morning, the ferry will return you to the mainland and then the bus will take you to the Eastern edge of the Maremma, from where you will continue by bike once more. On lonesome agricultural paths and small streets, you will cross the diverse agricultural landscape. The last cycle kilometers lead to Abbazia di Sant Antimo, a Benedictine abbey from the 12th century. 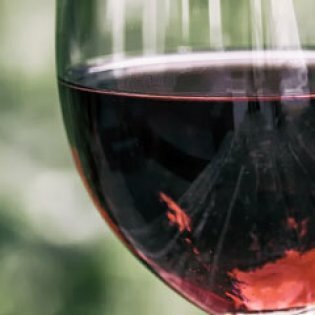 From there, the tour leads up to Montalcino, home of the Banfi dynasty and its Brunello, and further into the small Tuscan village of San Quirico d‘Orcia. There you will be accommodated in the “Villa del Capitano“. Located just outside the village’s historic center, this historic villa has very stylishly modern rooms and a rooftop terrace. Dinner in the nearby trattoria “Al vecchio forno”. Evening mood on the town square of Siena. In the morning the first cycle kilometers lead along the hills of the Val d‘Orcia, a world cultural heritage. Once again, you will have wonderful views of the typical hilly landscape of Tuscany. Before the gates of Siena, you will have to say goodbye to your eBikes. Taxis will take you up to the „NH Hotel Siena“ near the town centre. 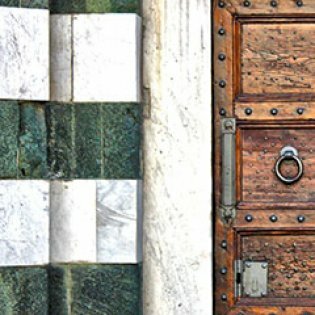 A city tour through the luminous center of Siena unites all wonders of this city. On the “Piazza del Campo” of the Arena des Palio, you will feel as if you could hear the clatter of hooves racing for the victory and honor of their city quarters here. There will be lot to talk about after this memorable trip over dinner and best wine. The next day will see its end in Pisa. Tuscan hills in the morning sun. 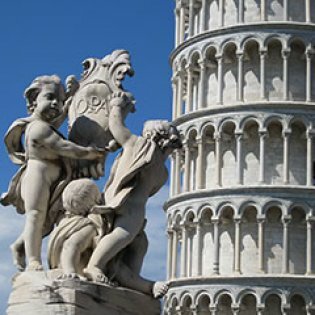 The tour guides will be happy to assist you in arranging a return trip to Pisa or Florence. All trains and return flights that leave after 3 PM can be reached easily. Now the subject of a new documentary, Palio, Italy’s 800-year-old horse race is steeped in tradition and drama. Gaia Squarci filmed this year’s competition for Vogue.com.